One of two organizations that John Hammond urges the involvement of regarding the preservation and isolation of Isla Sorna. After the San Diego Incident in 1997, Hammond had put forth initiative for the world to work with the Costa Rican Department of Biological Preserves and US State Department to establish a set of rules and guidelines for the protection of Isla Sorna from outside interference. 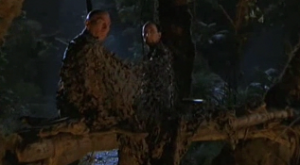 When the Kirby Family abducted Dr. Alan Grant to Isla Sorna in 2001 the island was under heavy quarantine. To enforce the quarantine the United Nations had airplanes flying over head and patrolling the island. While Hammond had spear-headed the movement back in 1997, by the time of 2001 nothing had been determined about the overall fate of the island. Though it was suggested by some at the college Grant lectured at, lobbying for financial support for a dig, that Sorna should open to the public or at the very least the scientific community.